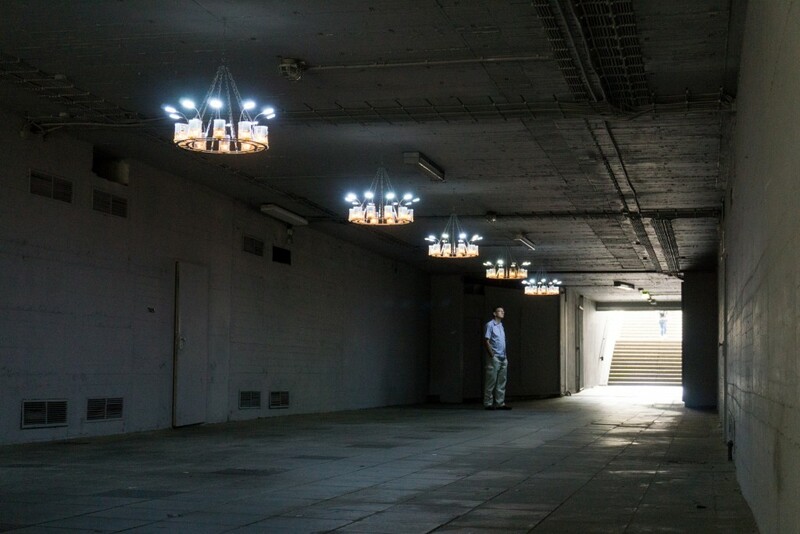 The otherwise closed pedestrian tunnel which leads to the castle Münster is open during Skulptur Projekte. 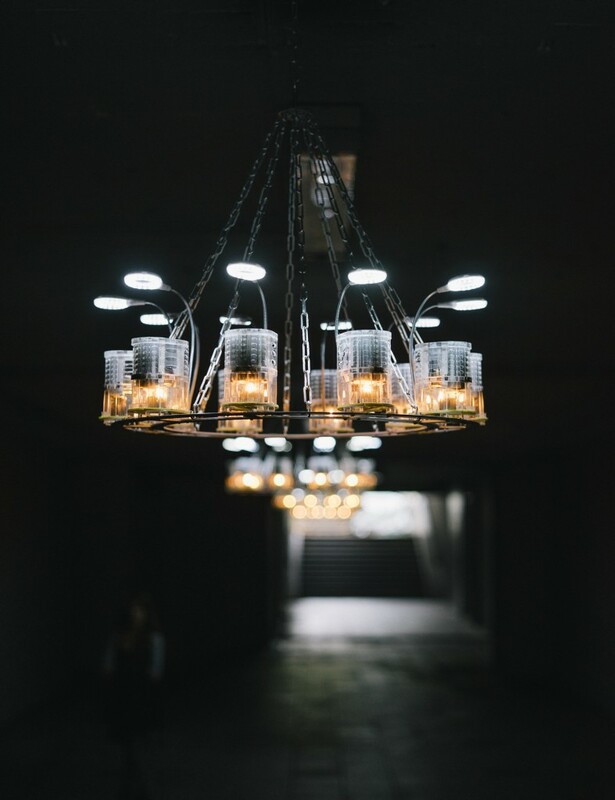 Five candle powered LED chandeliers light up the dark concrete tunnel. 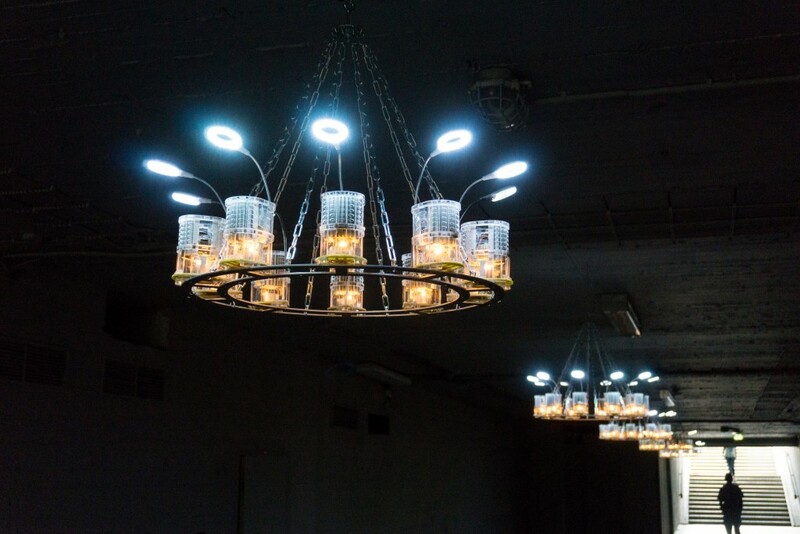 Each chandeliers consists of ten LED tea candle reading lamps mounted on an aluminum ring. 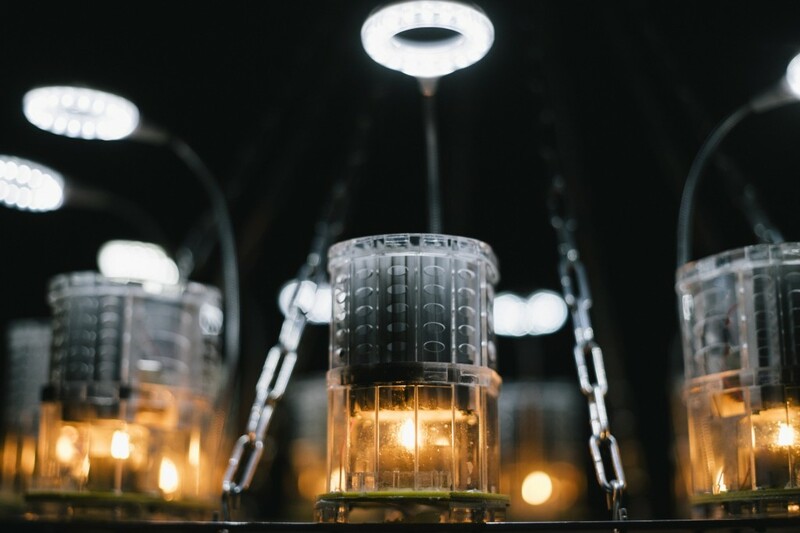 With help of the thermoelectric effect the heat of the candles is converted directly into 3V electricity to power the LED lamps. The bright and cold LED light contrasts the warmth flickr of the classic candle. 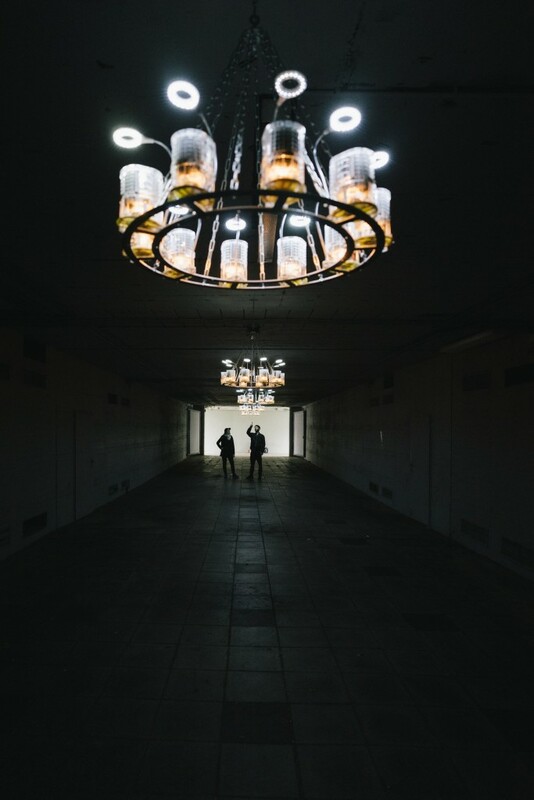 Twice a day (every five hours) the guard is replacing the burned down candles. 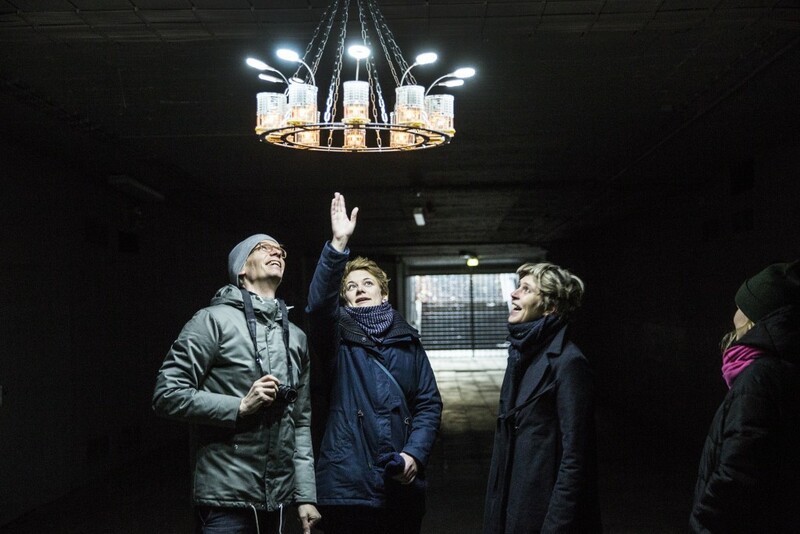 3V is one of three works which were commissioned and produced by Skulptur Projekte Münster. 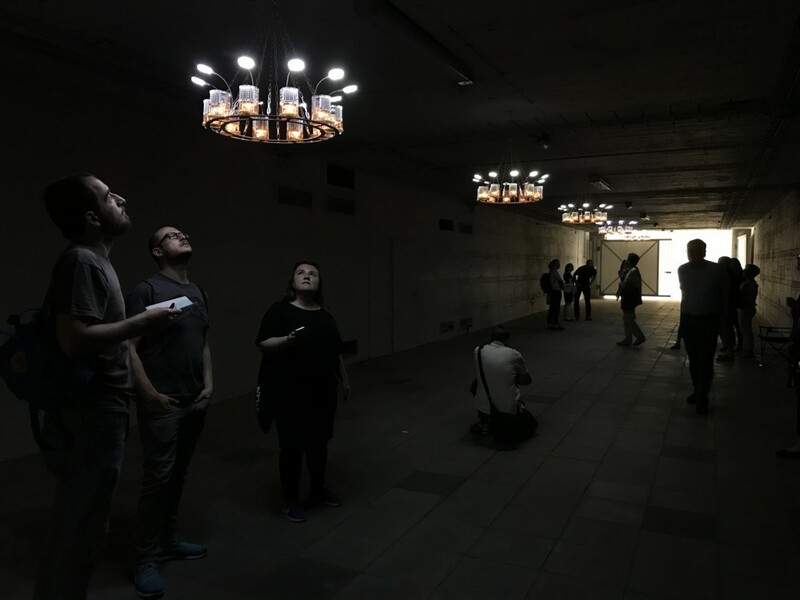 Each of these different site specific works incoporate thermo electric technology. Thermo generators convert heat from fire directly into electricity which then is used to power different state of the art electronic devices. Fire, which is in fact the first human technology serves as a power source and as catalyst for human communication.